I’ve blogged about these guys before… but now I’ve found a great videoclip! 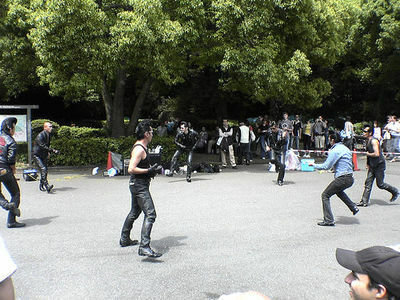 The Tokyo Rockabilly Club dances every Sunday in Tokyo’s Yoyogi Park. Sadly, they seem to be a dying breed. Hope they will still be around when I can afford to visit Tokyo one day. 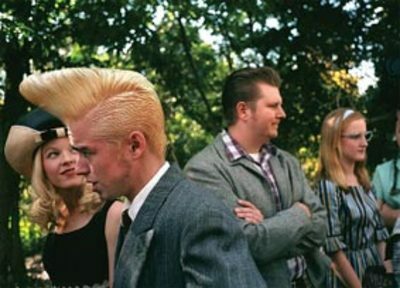 This entry was posted on October 29, 2005 at 2:26 pm and is filed under Rockabilly. You can follow any responses to this entry through the RSS 2.0 feed. You can leave a response, or trackback from your own site.